It's been out just over a week, but there are already some great reviews of Anno Frankenstein coming in from the Bloggersphere. Anno Frankenstein is my first outing with Quicksilver. But it certainly won’t be my last. 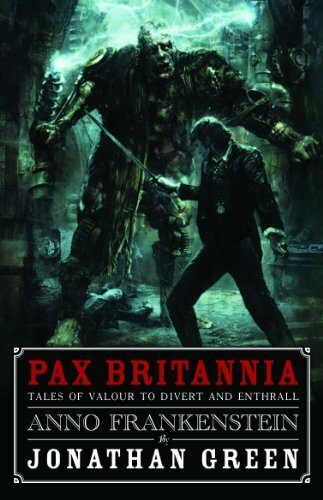 This book is a rip roaring adventure that blatantly wears its Geek and Genre loving heart on its sleeve... this is the book that the film ‘The League of Extraordinary Gentlemen’ should have been. And secondly, here's what Pablo Cheesecake of The Eloquent Page has to say about the book. Ulysses Quicksilver vs The Third Reich! And then of course, there was this one by Falcata Times' Gareth Wilson. You can pick up your own copy of Anno Frankenstein here. And once you've read it, why not write your own review and send it to me at info@jonathangreenauthor.com?